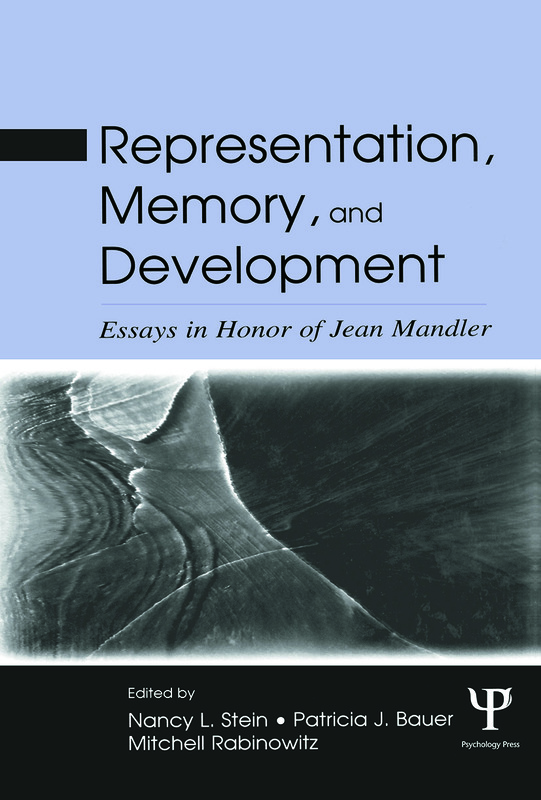 A festschrift to honor Jean Mandler, this volume contains contributions from leading scholars focusing on the child's development of memory, visual representation, and language. It is appropriate for students and researchers in cognitive psychology, language acquisition, and memory. Contents: Dedication to Jean. G. Mandler, Preface. L. Barsalou, Being There Conceptually: Simulating Categories in Preparation for Situated Action. P.J. Bauer, Building Toward a Past: Construction of a Reliable Long-Term Recall Memory System. S. Carey, The Origin of Concepts: Continuing the Conversation. R. Fivush, Scripts, Schemas, and Memory of Trauma. R. Gelman, On Animates and Other Worldly Things. A. Karmiloff-Smith, How to Build a Baby That Develops Atypically. A.M. Leslie, Pretense and Representation Revisited. L. McDonough, Early Concepts and Early Language Acquisition: What Does Similarity Have to Do With Either? T. Murachver, A Stitch in Time: The Fabric and Context of Events. K. Nelson, A. Ware, The Reemergence of Function. M. Rabinowitz, The Procedural-Procedural Knowledge Distinction. T. Regier, L. Carlson, Spatial Language: Perceptual Constraints and Linguistic Variation. E.S. Spelke, S.J. Hespos, Conceptual Development in Infancy: The Case of Containment. N.L. Stein, Memories for Emotional, Stressful, and Traumatic Events.